This is the ultimate party drink in a can that is designed to fit in at any event. 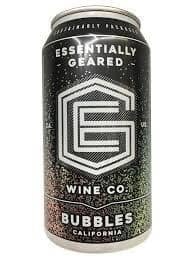 Bring the fun to the party with this Essentially Geared Bubbles Wine Can. Paired with interesting foods such as pop rocks and creamsicles, you will be at the center of every party with this drink.